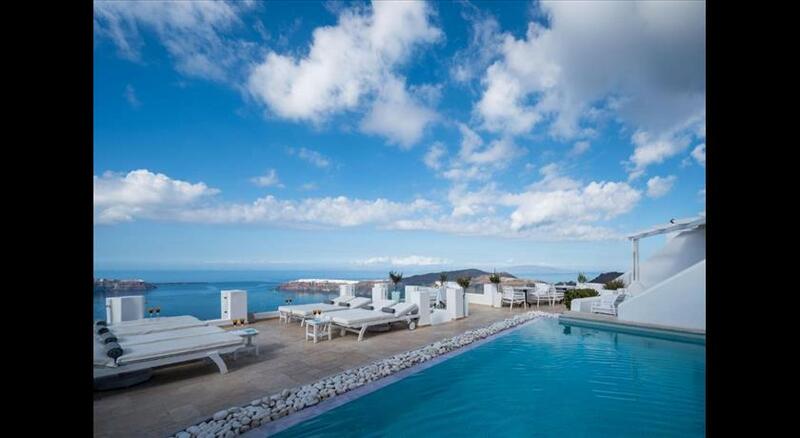 Krokos Villas is situated on the cliff side of Imerovigli with incredible views of the caldera . Enjoy spacious rooms and a stunning location at this small property. There are 3 traditional Greek-styled buildings housing the accommodation . Choose between the open-plan studios or the larger suites, all with an open-plan living/dining area and kitchenette facilities. All of the rooms have a balcony or terrace with a stunning view. Breakfast is included in the room rate and is served on your veranda. There is also a small cafe serving snacks and refreshments throughout the day. 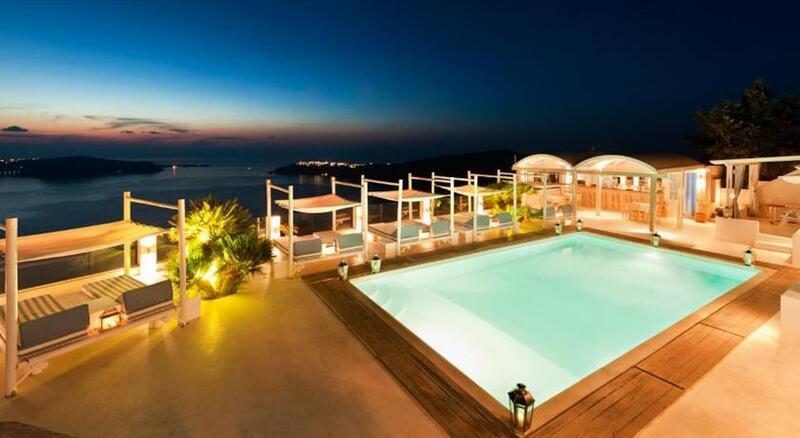 Krokos Villas is only a 5-minute walk from the centre of Imerovigli, where there are many taverns, restaurants and shops. 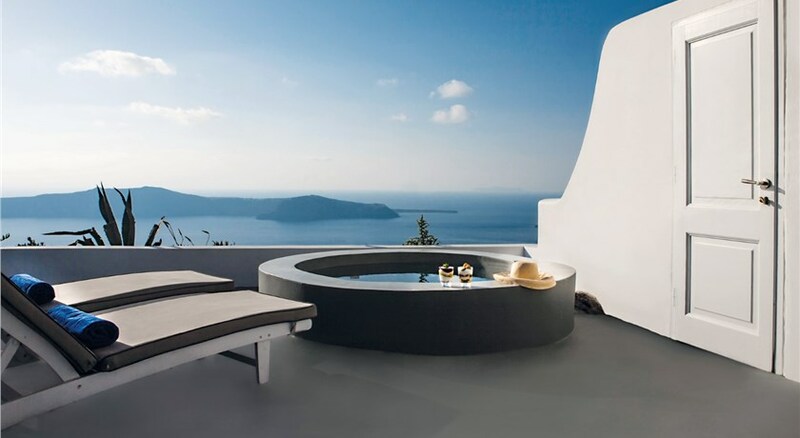 Fira, the cosmopolitan capitol of the island, is only 2km away. Taken from a drone fly over that shows the hotel from above. 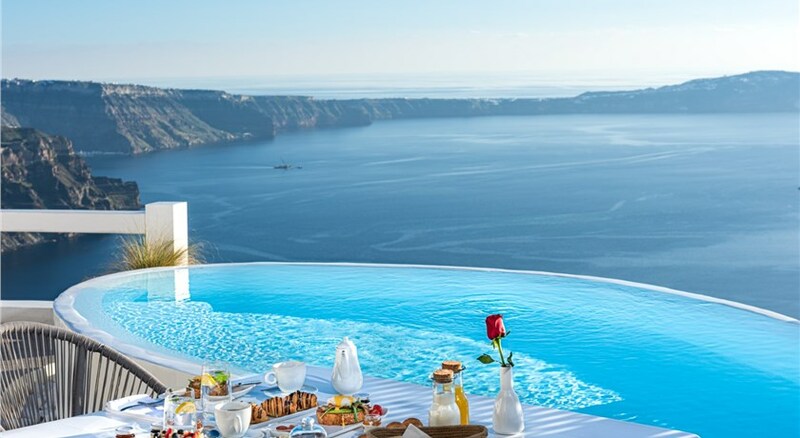 Krokos Villas is located in Imerovigli's caldera. All children are welcome. All children under 3 years stay free of charge for children's cots/cribs. All children from 3 to 12 years are charged EUR 30 per person per night for extra beds. All older children or adults are charged EUR 60 per person per night for extra beds. All children under 3 years stay free of charge when using existing beds. All children from 3 to 12 years are charged EUR 30 per person per night when using existing beds. The maximum number of children's cots/cribs in a room is 1. The maximum number of extra beds in a room is 2.